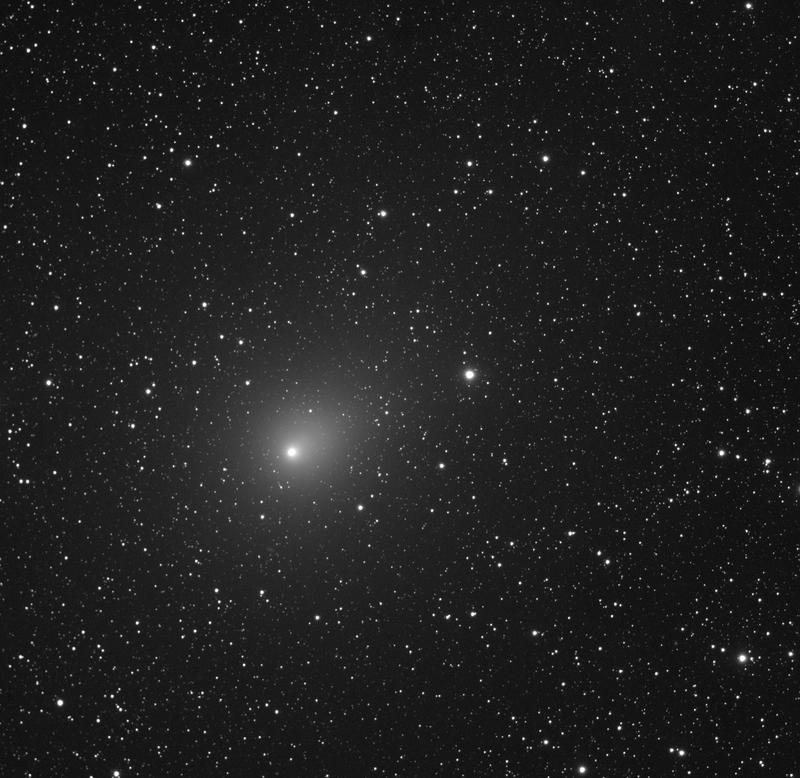 A new session with 46P/Wirtanen, this time under poorer skies compared to my last session from two nights ago. 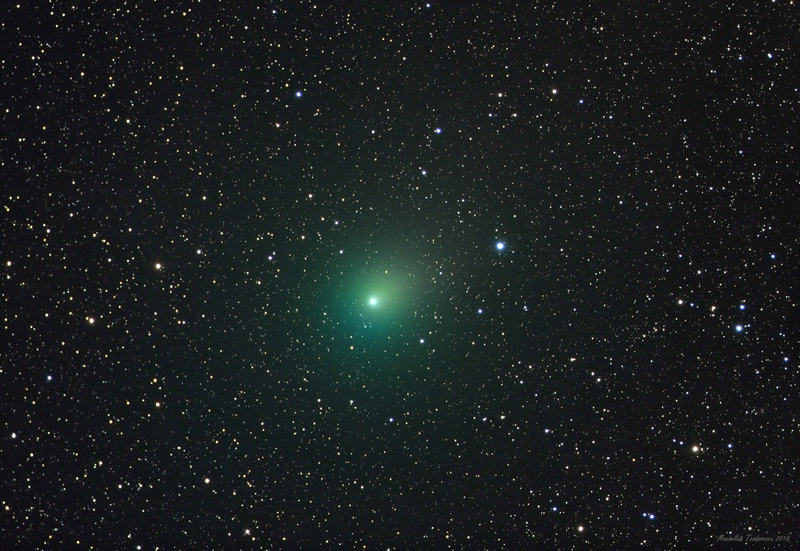 The comet was visible with the naked eye but much ore difficult. The images show a slightly elongated coma, but no sign of tail. 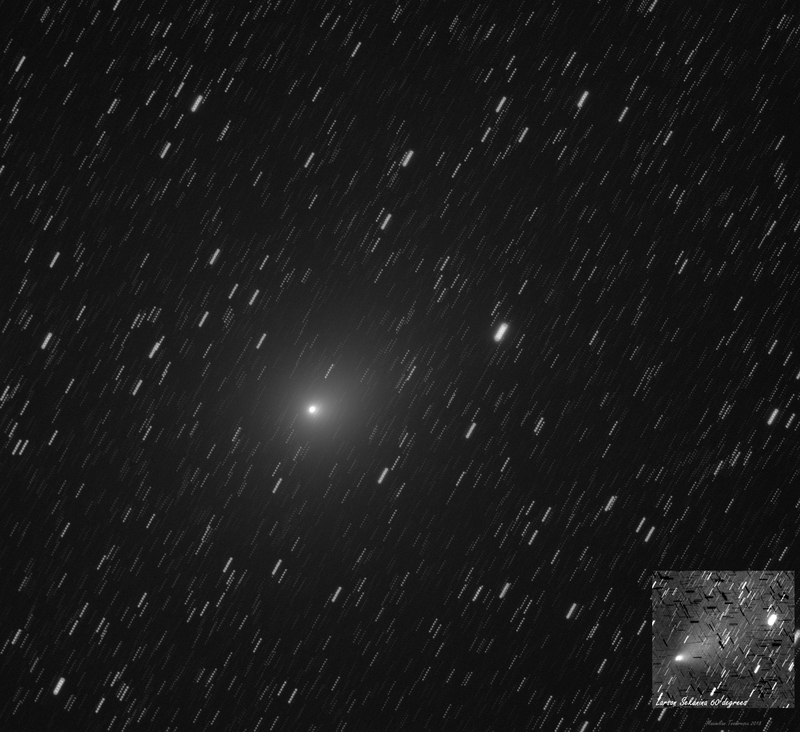 The Larson-Sekanina filter shows a hint of the tail observed on December 25 (towards lower right), but the poor transparency affected too much the data. Equipment: TS 65Q APO F/6.5, ASI 1600MMC Pro, Baader RGB filters. Luminance: 6x180sec, RGB: 2X120sec each. 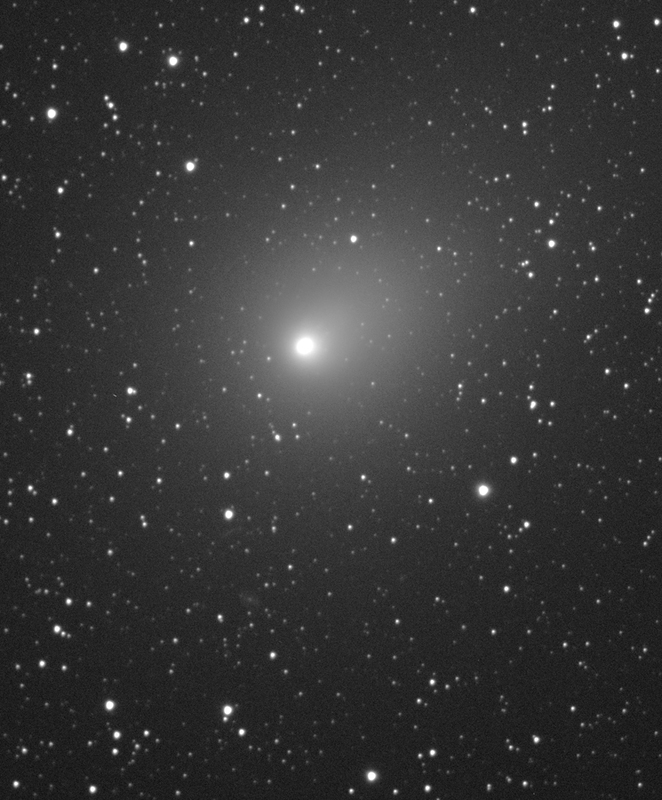 Tracking using a 50mm finderscope and ASI174MM and PHD. This entry was posted on December 28, 2018 at 03:22 and is filed under ASTRO. You can follow any responses to this entry through the RSS 2.0 feed. You can leave a response, or trackback from your own site.